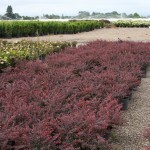 A uniform, dense, low-mounded shrub, similar to Berberis t. 'Crimson Pygmy' but with richer red-purple foliage. The color holds well all summer. In fall, the color changes to reddish-black. 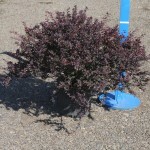 It will grow best in full sun, in most soils, as long as they are well-drained. It requires minimal maintenance. PP 9,461.